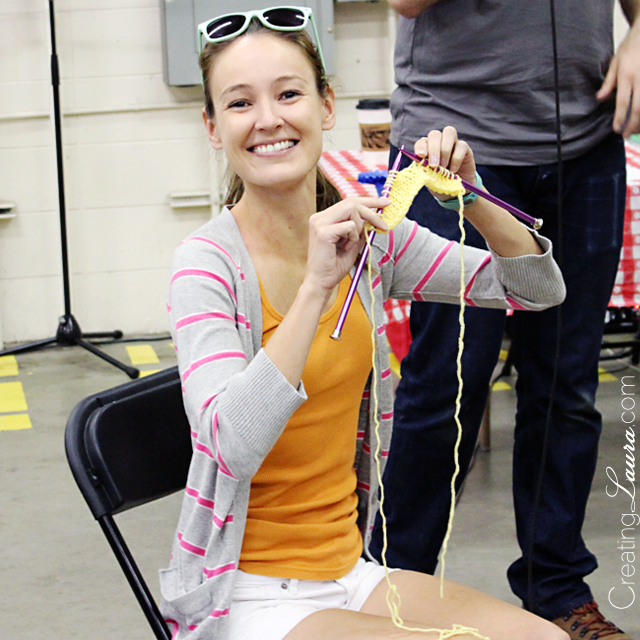 This weekend I went to the Denver County Fair and participated in my first-ever knitting contest: speed knitting! But I fit in! 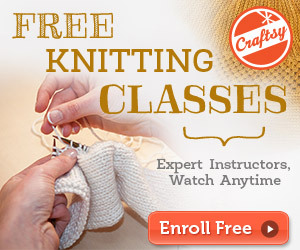 I've never attempted to knit as fast as I possibly can before, so I honestly didn't know how I would do. I ended up knitting 1 row less than the winner, who was knitting continental-syle, by the way. 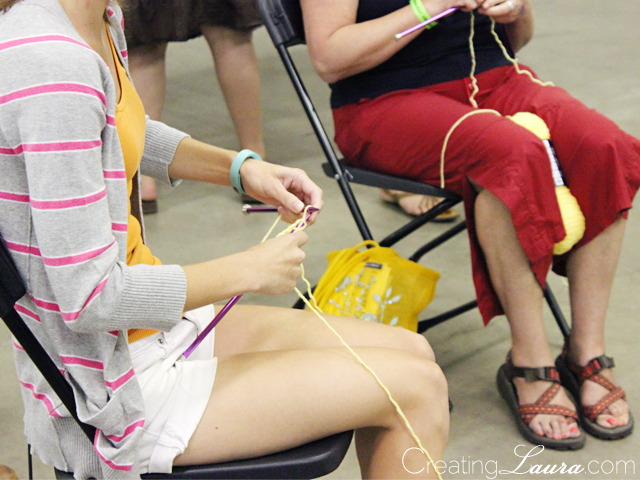 Perhaps that's the way to go if a person wanted to become a speed knitting champion? It was really fun to participate and to push myself out of my comfort zone, but I'm also happy to go back to knitting at my normal pace. I don't really see myself getting into "training" for this the way I do with skating. You never know, though, I may change my tune when next year's fair begins to loom on the horizon. In other news, I've been tweaking the blog's sidebar all weekend, and I may continue to do so over the course of the week. I'm going for a sleeker look. What do you think so far? And last but definitely not least, I'd like to write a word about Instagram: LOVE! And now for a few more words: I've recently become addicted to Instagram. I had no idea how much power the hashtag holds and what fabulous groups of images it can unleash if used correctly! So anyway, I've had an Instagram account for quite a while now, but I've never shared the link to it on the blog's sidebar because I didn't use it that much. Now that I'm suddenly addicted to it, I've added the link to the new sidebar. 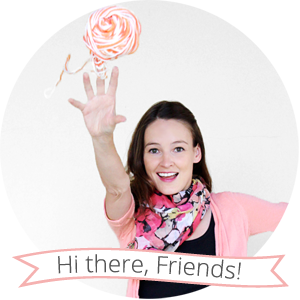 Let's be Instagram buddies! Also, if you've made something using one of the Creating Laura tutorials, will you please take a picture of it and add it to Instagram (or Twitter or Facebook) with the hashtag #CreatingLaura? Let's see all your pretty makes! I would love it if we all became one big happy hashtag community! 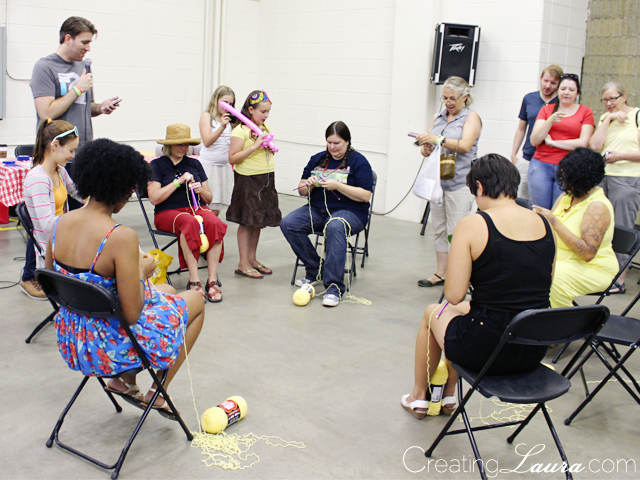 Happy hashtagging (and knitting at a comfortable pace)!